The Insurance Regulatory Authority of India (IRDA) has always been the responsible Big Daddy of the insurance industry in India. It has always tried to ensure that things are running smooth and that no one is unfairly holding an edge over the others. However of late, the relationship between IRDA and the Life Insurance Companies of India has been stained. Both sides have their own gamut of reasoning for this rift. IRDA complains of risky and unethical business by these life insurance companies. The latter on the other hand is claiming that the regulator’s tight guidelines are pushing them to adopt previously untried methods. The two major causes of frown for the IRDA are the use of foreign reinsurers by the life insurance companies and the introduction of umbrella products which offers multiple policies under one product. Before moving to discuss the first issue it is imperative that we understand what and who these reinsurers are. Reinsurance is a form of insurance where the insurance companies redirect the risk to another insurance company for some commission. Some foreign reinsurers currently popular in India are Swiss Re, Munich Re. IRDA has no control over the foreign reinsurers. So by using reinsurers, life insurance companies are naturally making IRDA uncomfortable. IRDA reasons that the end user or the customer is not fully exposed to the risk which they face if they buy such products. For Example if the reinsurer defaults due to credit risk, it is transferred to the insurer and ultimately the customers. The reason why foreign reinsurers are popular is because they offer competitive rates. However exposure to credit risk default is also higher. The second issue of IRDA is using umbrella products to bring in multiple policies under one. IRDA claims that when the life insurance companies submit their products for clearance, there are fewer funds. But once cleared the funds proliferate. These funds may be significantly smaller in value. Ultimately the customer ends up with a collection of funds which may actually not result in much capital gain. Interestingly though when the Mutual Fund industry had started launching similar products, the capital market regulator had asked them to bring it under one umbrella product. They claimed that this would help remove confusion from the customers. On the other side of the coin, the life insurance companies feel that IRDA has come down harshly on every profitable idea in the past year starting from pension plans to highest NAV guaranteed products. Earlier in September 2010, the life insurance industry received a major blow due to the restrictions imposed on the ULIP products. Initially it was expected that within six months a recovery was evident. However it took much longer than that. 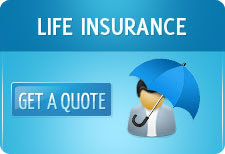 Between April – December, 2011 the premiums collected by the life insurance companies went down 17% reported in the same period a year ago. Also the number of policies issued was down by 11%. It seems that IRDA is changing things too frequently and the life insurance companies are finding it difficult to absorb these changes in their business models. The resistance of the life insurers is meekly visible in the absence of any pension plans after the guidelines were revised to ensure guaranteed returns. IRDA has also recommended zone-wise distribution tie-ups between bank and insurance companies. This bancassurance guideline has not gone very well with the life insurers. They feel that this would complicate things as the whole business of bancassurance is based on commitment from either side. The financial institutions still have some way to go before they can successfully implement the zone-wise distribution recommendation.